This quilt looks much more expensive than the price. The weight of it is perfect. 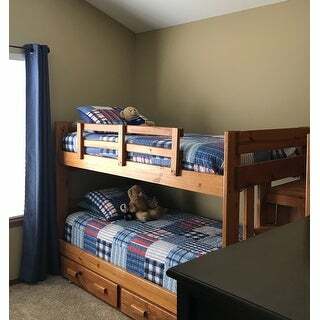 I have a condo at a lake and I bought two of these for twin beds in a loft area and I love the look! Would definitely recommend to anyone. I absolutely love this quilt! It’s 100% cotton and super soft. I washed on cold cycle and it didn’t have any fading. Very good quality and love this pattern for my two little boys who now share a room because their baby brother is coming! 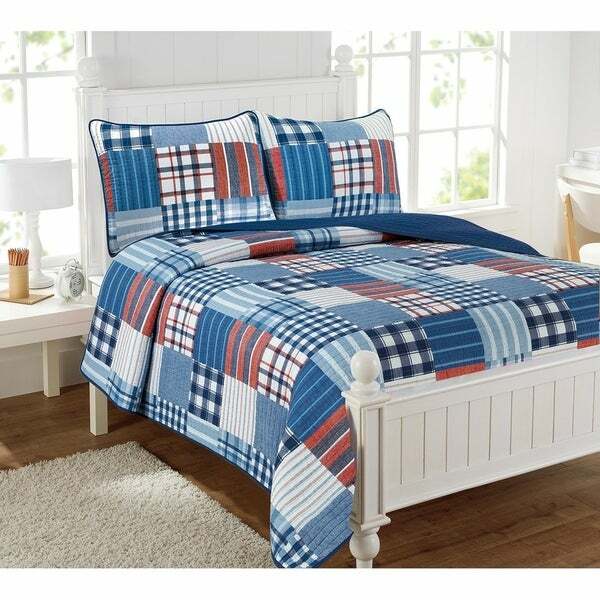 Highly recommend this bedding and the price is great for such good quality! Red white and blue! Patriot too! Country vibe. So fine bedspread too. Looks like a great find for price and texture too. 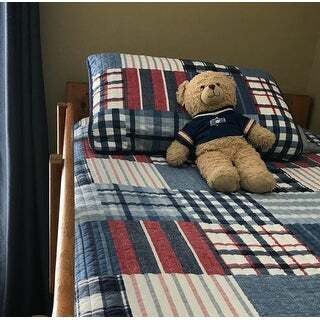 I like the quilts pattern too. Great kids room quilt for boys and girls too. Country sunshine for 2. I like the colors in the quilt. Seems to be well made. It's not real patchwork but nice. I put nautical striped curtain with it in my boys room. Looks great! Very nicely made. Love the colors. Would definitely recommend. Fits a full-sized bed -- didn't need a dust ruffle. Nice weight... perfect for my guest room. Love it ! Looks perfect in my sons room & is warm enough. Perfect for my 4 year old son's bedroom. Good bed spread, could it be a little heavier!